New Moon in Aries-Fire It Up! There are several aspects that weigh into the decision of how to effectively use a particular moon’s energies in a given astrological sign. Each, independently offers its own color and dynamic and when purposefully combined in a way to be supportive of each other the results are much more cohesive and potent in their efficacy and success. The supportive structure of dynamic polarities is already in place with the phase of a New Moon. Sun (masculine) and Moon (feminine) are in the same astrological sign forming an energy that is united in its efforts and acting one upon the other to inform the intent. Both are expressing the astrological sign’s gifts, one with the strength, stability and force of the masculine and the other held in flowing intuitive and creative grace of the feminine. Additionally, the New Moon falls approximately mid-point in the growing potency of the Solar month. If we think in terms of chronological cycle, this is the mature and stable Father (Sun) offering his protective support and strength as the Maiden (New Moon) sets off on her first explorations of what is possible. The Moon represents water, emotion and intuitive nature. So anything that is added as the overlay on this is going to be of most potency in connecting to the ebb and tides of the emotional, intuitive nature with the intent of accessing the natural flow of these waters. Using lunar energy is an opportunity to tap into the energy of movement. 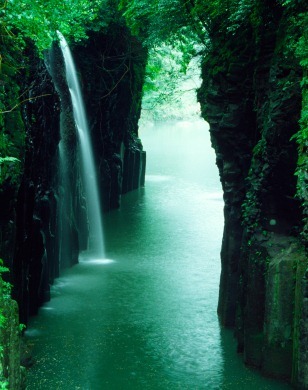 Water flows and moves and if not becomes stagnant. The Moon calls us to ride the seas of energetic exchange and to be mindful that we provide proper container for that flow; largely by our own efforts of carving out the path of greatest potential much like the waters erode the edge of the shoreline or smooth the rough edges of stones placed in its way of continued flow. Remember the earlier analogy of the Father and Maiden. Each new inroad made by the flow of the Maiden’s desire to expand and grow is shored up and made stable by Fathers loving interaction. His is the container that She may extend and move through with surety and safety. Visioning to seek the place within that burns with the newly quickened fires that require tending and care as they are brought forward into the light of the Full Moon and the maturing of the Solar Month. Next Posting: Sunday, April 5th. The astrological sign of Aries is one of the element of Fire and the Cardinal Modality. Its planetary ruler is Mars and it holds the distinguished position of being the first sign of the zodiac. 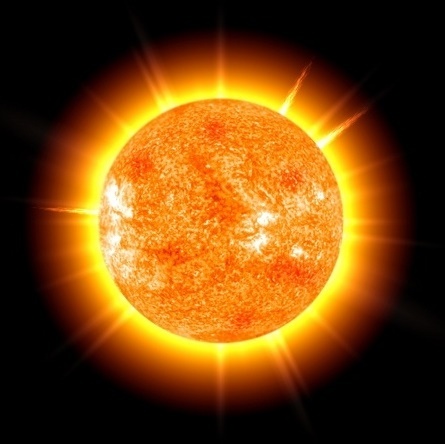 We learned a bit about the natural energy of the Sun, itself and its fiery nature so it is fitting that a catalyzing astrological Fire sign being expressed through the eye of the Sun would be the dominant energy of Spring (Northern Hemisphere) or Fall (Southern Hemisphere). 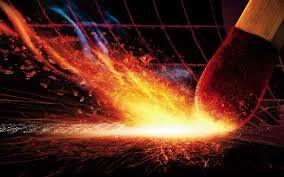 The energy of Fire is will to Action. In Aries this fire takes the form of the first sparks of flame that are not quite at their fullest, but hold the seed potential, and if directed and guided will go on to fuel the larger blaze. This energy is the fuel that powers exploration, enthusiasm and taking a look from a freshly enlivened perspective. Aries is the quintessential path of action bringing the dynamics of each step taken in the spirit of blazing new trails and enjoying each of the paths taken. The energy of the Cardinal Modality is one of beginnings. This is the space of the bubbling up of the tiny fount of waters that pushes through to carve out what will become a steady flow. This is the space of the first stirrings of a breeze that gathers strength of force and becomes the winds that move strong and palpably. Cardinal energy of Fiery Aries is that of the first sparks that seek to become a larger fire that will warm, provide light and clear the way for new experience. As with any spiritual fire, in the application of Aries dynamics there is often a large boost of energy, will and action at the onset. This is the enthusiasm of newness and for this enthusiasm to remain viable, the wisdom of growing maturity (remember, Aries is the youth of the zodiac) must take hold and guide the course towards creating those fires of transformation (the next Fire Sign, Leo). Aries is the first sign of the Zodiac, and in holding this starting place can be equated with new life and the heralding of potential that has not yet acquired the experience of years and maturity in outlook. This is not to say that those under the influence of this sign are immature and lack experience, but rather that they bring a certain level of newness and innocence to any endeavor. The energy of Aries is that of looking out from the eyes of a curious child who sees multiple possibilities and new adventure everywhere bringing an inquisitive nature and youthful energy. 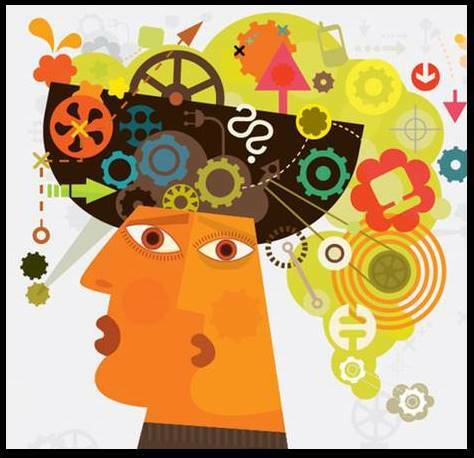 Having the quality of a Cardinal Modality bolsters this enthusiastic nature for beginning new projects and looking at things through a fresh (and not yet biased) perspective. Mars is the Ruling Planet of Aries. This is the combustible force that propels this sign forward. It is a justifiable assertion of itself that puts the plan in motion and irrational aggressiveness that serves as the tantrum of a child wanting attention and not receiving what is needed, before they can move on to their next creative project. At this time of the year we see the Fires of Aries expressed in two forms; both ultimately striving towards that state of balance (the Equinoxes) where there is ample pause to allow the fires to take root. In the Northern Hemisphere we celebrate the balance of the Spring Equinox. This the drawing of the heat and flame into the earth to enable the first buds of what will be the abundance of beauty, life and food. In the of Southern Hemisphere the emphasis is on the Fall Equinox and the beginnings of the harvest. These fires are the driving force towards the action of selectiveness that spurs on the will to action before what product should be harvested withers and dies. Both are balanced by the healing of night and the flame of day as the work of Aries youthful energy rallies towards new growth or provides the back bone for the work of reaping. And, so in the spirit of Aries, I repeat the invocation that began this exploration. As you read through it think back to your younger years and the raw enthusiasm that you felt as each day brought a new adventure and opportunity to learn something new. Think back to the fires that burned fresh and clear as you felt invincible and powerful with youthful vibrancy and energy. This is your birth rite and as you read through the writing of your own story remember the Solar power of this month as Aries catalyzes your inner fires of RA. Next Posting: Sunday, March 30th. Today is a particularly auspicious day. In addition to the Sun’s Transit into Aries and the start of a new zodiacal cycle, it is International Astrology Day, the Spring Equinox and on a personal note, my twin daughters’ birthday. All of these occurrences bringing a strong energy of focus on today, March 20.2014! The invocation to RA above demonstrates the potency and regal nature of the solar principle and it is in the Spirit of this energy that we will travel the Greater cycle of the Sun as we move through its many faces clothed in the intent and style of each of the astrological signs. Because we are just entering the Temple of the Sun, there will be five posts this solar month. 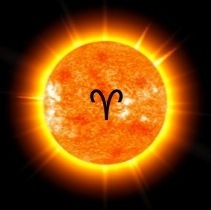 Today’s post will explore the dynamics of the Sun itself and an additional post on Sunday will discuss the application of the astrological sign Aries as the ruler of this solar month. The number 5 is an appropriate way to begin this journey, as it is the number of disruptive and transformative change, both of which are two of the intentions for this solar study. As pagans, we are continually reminded of and work with the energies and mysteries of the Moon. We have ritual, offer devotion and live in the light and through the cycles of Her many phases. By contrast, the Solar Mysteries are generally continued within the Sabbats and the occasional working that requires the assistance of a solar deity. Doing work that will deepen and strengthen our connection to both of these cycles establishes a point of balance that is informed by the strengths of each and the interweaving of their subtleties to produce work that is synthesized and illumined by light and dark. The Sun is the brightest star in the heavens. In esoteric matters we often hear reference of the Sun behind the Sun or the Midnight Sun. It is both celestial body, physical in its energy and impact and archetypal in its energy as Deity, energetic force and place of primal force that holds the mystery of creation. There are many attributions that are given to the Sun. in magickal work, we think of the sun’s energies in the forms it takes as the solar deities we work with, the heat and light the sun provides at a physical and manifest level and the impact of the solar meridians and chakra on our subtle energetic anatomy. As the polarity to the feminine intuitive and healing Lunar qualities, we see the power of the Sun as the masculine strength that is woven through folklore, mythology and the vastness of the varied and diverse spiritual streams. The Sun stands at the central core of all of our workings. It is the dynamic fire that fuels our will towards intent and acts as the combustible source that enlivens whatever that working may be. These are just a few of the ways we make connection with the archetypes of the Sun. Regardless of what form these solar energies take, the underpinning keys that hold true are those of strengthening, enlivening and ultimately transforming anything held in its power. There is, as well, the timely caution to not stray too close to the full potency of the light of the sun lest it burn the fragile skin we are contained within. In counter to that we also carry the lessons of the Phoenix, whose sole (soul) work is that of the destruction of itself, reduction to the refined essence of its components and the rising up from the ash of flesh and bone to be reborn anew. Let’s take a closer look at some of these vehicles of change. In ritual and magickal or devotional work we call to the Deities that will best inform and serve what we hope to manifest. The solar deities are those who are called forth to enliven, strengthen and ignite change in a very specific and transmutive way. The Egyptian Solar God, RA reigned supreme and took many forms, including that of the rising and setting of the physical Sun, the sustainer of all life. Each aspect held the key to another level of transformation that those who followed the energy of his Solar flame could hope to lay claim to. The Celtic Goddess, Brighid as a solar deity was keeper of the sacred triple flame and ignited the creative spark in her seekers. Her blade was one of healing that cauterized that which had been excised. She was mistress of the Forge and as such applied the heat of her action to temper the malleable steel of our form and bathed it in the soothing waters too cool and set what had been crafted. The Greek God, Helios was considered to be the Sun itself, traveling much like RA through the day lit sky in a chariot drawn by fire breathing horses. These are the Gods/desses that light the way and blaze the path towards transformation. In ceremonial work, the Liber Resh Vel Helios was written for members of Aleister Crowley’s Order to be performed four times daily as devotional and adoration of the Sun. Its intent was that of focus of the mental process from a heliocentric view, greater connection to the energies of the sun and attunement to The Great Work. • The Fohat which is the physical manifestation of electricity and of the electromagnetic state in application. This form of solar energy directly impacts the neurological systems of the body that, in turn stimulate and open the pathways of communication, both at physical and spiritual levels. • The flow of Prana, which provides a state of vitality to the body and is the penultimate and primary life force that transforms the fluids of the body. • The Kundalini or serpent Fire that transmutes, refines and quickens the impact of the Endocrine System. It is the union of the solar and lunar pathways working each in accord and in friction with the other that sends the life force upwards to nourish and flow through the pathways of the 7-Stars (aka: the glands/organs of the Endocrine system). In energetic practice, it is the action of calling upon the accumulated Fohat that serves to enliven the individual’s Prana that can then in turn be used to raise and quicken the Serpent Fires of the Kundalini. As this polarized flow of energy of both the lunar and solar currents is pulled up into the crown center, it bathes the pineal glands in its milky elixir and acts as interface to opening to cosmic and expanded consciousness. At the level of the Chakras- the vortices of energy that draw in and emit the refined spiritual light, the Sun is associated with the Solar Plexus. This chakra is the core center of our inner sun or seat of great power. It is within the solar plexus that awareness of the raising of energy is first noticed. It sits at the center of gravitational balance, keeping us strong and secure in our footing as we move forward. And, it is this chakra that acts to energize and strengthen our actions and fires of will. If engaged fully it is the opener of the heart center of compassion and works in conjunction with the throat center so that will, heart and mind are expressed in an effective manner. In the overlay of the system of the Qabalah, the sun stands as the central sephira (sphere) of the Tree of Life as Tiphareth. This is the place of sacrifice and reassembling from the wisdom of the inpouring of the other spheres of connection that enter and pass through Tiphraeth. It is the sphere of Beauty, the beauty being held in the synthesis and transmutation by application of the solar principle. On ascending the Tree towards the Godhead of Kether (The Limitless All) the next sphere of connection is Geburah on the Pillar of Might. The heat of the sun is now aligned with the cauterizing blade of the surgeon that cleaves to heal. In descent towards the manifest realm of Malkuth (Foundation) Tiphareth pours into Netzach on the Pillar of Mercy, the fires of refinement. The Solar Principle is gathered here as the soon to be manifest form is fired in the kiln’s of selective balance and desire to create. And on the Middle Pillar of the Tree Tiphareth reaches up through knowledge (Da’At) and the resultant self-awareness to return to the formless source of Kether. On return circuit, the solar energy of Tiphareth reaches down into the sphere of Yesod, affecting discernment and exerting will that is devoid of illusion and misdirection as it is brought into the physical world. Astronomically, at the time of the Solstices and the Equinoxes we are offered the dynamics of bringing a state of balance between the polarities of sun and moon; night and day. The solstices herald the dominance of one over the other, still being ever mindful of the need for each to maintain this cycle of excess and release. The equinoxes provide a dynamic of seeing solar (day) and lunar (night) in harmonious balance, each providing the pause of equilateral tension as the movement into waxing or waning begins anew. There are as many ways to attune to this cycle as there are the overlays and characteristics that comprise it. I routinely use these energies in my daily spiritual practice. This may take the form of simply sitting outside at lunchtime and calling into myself the spiritual (Prana) and physical (Fohat) energy of the Sun. I breathe in the rays of the sun, pulling them into the Solar Plexus and then exhaling them into distribution throughout my body. I envision this process radiating out ad into all of my subtle bodies. I have used crystals to hold the specific energy of the sun for later use in ritual work calling upon a Solar Deity’s assistance in quickening the start of a new project. This is particularly effective during a solar eclipse; bringing together a sphere that has been charged with the building lunar energies and another holding the energies of the solar cycle. This eclipse only occurs when the moon is in its New Phase, and is signified by the passing of the moon between the earth and the Sun. I can call upon this combination of energy to create the pathway of the Sun strengthening the heart’s desire (The Moon) as it aligns with the manifest plane of earth. A few years ago, our Coven embarked on a deepening of our understanding and use of the solar mysteries in a year-long plan. We used as our foundation the Egyptian Pantheon and the cycle of RA and the movement of the Solar Barque (Solar Boat) across the sky through specially crafted rituals. We honored Khepra-Ra at the Vernal Equinox as keeper of the Dawn and new beginnings. We invoked Amum-RA at the Summer Solstice as quickener and peak solar force of noon. The Autumnal Equinox held the energy of RA-Atum in the solar form of Dusk and the setting of the sun to rest and integrate what had been enlivened. And, we entered the Du’at at Samhain in preparation for the calling forth of the Midnight Sun at the time of the Winter Solstice. The products of this work were an uplifting of the foundations we had laid towards a better understanding of the primal nature of the solar energies and their impact in all of our workings. I have included at the beginning of this introductory post an invocation that I wrote years ago that was used at the start of the Solar Mysteries cycle of workings. If you are so inclined, make formal dedication to this study and feel free to use this invocation as an opening to the Gateway of an energy that is potent in its outpouring and serves to inform and illuminate all aspects of our being. In Solar Light! Posting on Sunday, March 23rd. Today the Moon is in Her Full glory in the astrological sign of Virgo. Virgo is of the Earth element and mutable modality. Sun and Moon are in opposition as the last stages of Pisces’ emotional outpouring is preparing to transit into the Fiery sign of Aries and begin the cycle of the Zodiacal wheel anew on March 20th. Virgo, as the sign placed in opposition to that of Pisces heralds the opportunity to bring the Virgoian energy of greater clarity and detail to the all compassionate all giving Pisces. The brilliance of the Full Moon pulls into the spotlight the emotional attachments and habitual behaviors that become the heavy anchors that do not productively hold firm, but instead dig deeply into sandy floor and cause uprooting as they are pulled along. Virgo demands that this anchoring be cut free and order is maintained from the careful sifting through the emotional rocks that bind. I am currently presenting at the Sacred Space conference in Laurel Md. And the days prior have served as a reminder that the energy of this full moon has been building and the need for directed and focused compassion and loving-nature is at hand. A conference of this sort requires interactions with others and the ability to finely tune what emotional connections and intuitive flow will be established in that space. The Sun in Pisces supports the strength of a compassionate listening nature and Virgo steps in to provide structure through scrutiny to the expression of our emotions and heart felt connections. The watchful Full Moon Eye focuses its light in precisely the correct way to illuminate the way and to give greater clarity to the ebb and flow of human discourse. What bubbles to the surface is meaningful exchange that is mutual in its understanding of what the other needs without disregard for your own needs. In moving forward, the application of Virgo’s sorting and sifting helps to break down the most heart-felt and mature energy of Pisces’ giving nature in preparation for renewal as the strength of the Sun crowns in birthing a new turning of the Zodiacal Wheel in Aries. Join me in the Temple of the Sun next week on March 20th as we embark on a year-long exploration of the Solar Light through the Zodiac.